One of Facebook’s creepiest additions is the facial recognition feature, which suggests tags to friends in your photo albums through facial recognition technology. Although the facial recognition feature does come in handy when you’re tagging friends in your 200-picture albums, the technology and incorporation of the program is concerning. In fact, Facebook launched the facial recognition feature in December 2010 without notifying users. Facebook’s Places feature may take the cake for the creepiest feature of all time. Places allows users to check-in on Facebook to local bars, restaurants, coffee shops or wherever they go, using the GPS on their mobile device. The idea is to let your friends know your exact location in case you want to meet up, but the feature also comes with a heap of security concerns, as well. 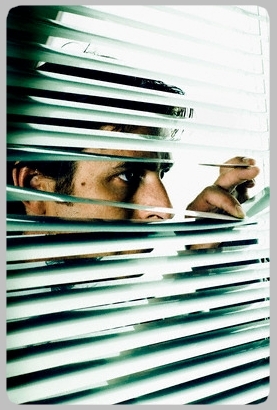 Even if check-ins only appear on your friends’ news feeds, that doesn’t mean you aren’t at risk for uninvited guests. Facebook’s Breakup Notifier has taken creepiness to a whole new level. No longer will you need to stalk your love interest’s profile because now you can get updates of their relationship status through e-mail. As if it wasn’t hard enough to change your status from "in a relationship" to "single" after a bad breakup, now users will have the joy of answering to eager date requests via Facebook. The Twitter Creepy app is just that – creepy! Similar to Facebook’s Places feature, Creepy allows users to track a person’s location on a map by typing in their Twitter or Flicker ID. If you’ve made a post that includes geocoded data of any sort, you’ll be traceable. So, unless you don’t mind everyone and their mom knowing your exact location, I’d watch what geocoded data you post on Twitter. It doesn’t get much creepier than receiving a poke from a stranger, even if they are your Facebook friend! The poke feature has been around for years, allowing users to poke their crush or start poke wars with their friends. Sure, it’s pretty harmless in nature, but virtual poking can definitely go too far and reach harassment levels quickly. Facebook’s news feed interface has truly raised the level of creepiness to an all-time high. Since 2006, Facebook users have been able to post their daily activities, political rants and professions of love for all of their friends to see. This streaming news feed also tells you when there has been a profile change, birthday notification, post to a friend’s wall and much more. The news feed feature has become a staple of Facebook, but that doesn’t make it any less creepy that you know exactly where your friends were last night, what they last posted on someone’s wall or that they just got out of the shower. Facebook’s quizzes may seem harmless in the grand scheme of things, but these questionnaires could be divulging more personal information than you intended. Facebook quizzes can give developers access to your personal contact information, which could be used against you. Even though changing your Facebook privacy settings may help with this problem, your best defense is to avoid the quizzes altogether. If it weren’t for the photo sharing features on social networking sites, most people probably wouldn’t even bother getting an account. Photo sharing is what makes Facebook, MySpace and Twitter so enjoyable to users. However, this amusing feature has also caused a boatload of problems for relationships, careers, self esteem and overall productiveness. Social media photos have also put users in danger of being stalked and harassed because it puts your face, locations and information out in the open for all to see. Facebook groups are another seemingly harmless feature, but these sometimes exclusive groups can be very concerning. The Facebook feature started years ago with innocent groups like "I love Dogs" and "#1 Yankees Fan," but have expanded to more serious groups with a distinct purpose. In recent years, pro-anorexia and bulimia groups have made their way onto the social networking site, using clever names and effective marketing tactics. This is just one example of several creepy Facebook groups that seem to slip through the cracks. Video sharing features, such as MySpace’s Weird Stuff Video Charts, are some of the creepiest and most exploitive video-sharing forums online. Both Facebook and MySpace have a video sharing feature that lets users upload videos to share with friends or the whole online community. Even though the networking sites monitor video content, plenty of inappropriate and controversial videos find their way online.